Does Arroyo Grande need to reevaluate spending priorities? That the city’s expenditures may be considered as the citizen’s money that is spent in providing services to them. The city in this sense acts an agent for the citizens while the citizens also pay independently for water, sewer and garbage pick services. To explain this, I will use general assumptions that are approximate numbers about the city and its general fund. City population: 16,000. Number of residences: 8,000. Annual general fund expenditures: $16,000,000. This means the city is spending $1,000 Per Citizen or $2,000 per resident of your money each year. Considering this is your money, is it reasonable to ask are you receiving as a citizen appropriate services along with the entitlement of being a citizen of the city? It might help in understanding this explanation to consider what everyone considers to be a major service: the police. Using the same rationale the police budget is $6,000,000. That translates to being approximately $375 per citizen or $750 per residence each year. Is that a good deal? Security is number one on my list! The Five Cities Fire Authority (FCFA) poses a different problem since it also covers Oceano and Grover Beach. The FCFA Budget is $4,000,000. 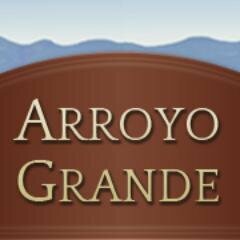 45 percent, $1,800,000, is Arroyo Grande’s share. This means $113 per sensitize or $225 per residence. Residences typically have provisions for fire insurance. Does the Arroyo Grande amount of $225 seem adequate? Again, think of this as being your money. The analysis could apply to other departments such as Parks and Recreation and Public Works in a group of all others. It is one half of the general fund at $500 per citizen or $1,000 per residence. Could there be savings here? Probably, but one area really sticks out and it is a major issue. The PERS Retirement is $2,000,000 a year. It is $125 per citizens or $250 per residence a year, your money. What would $125 a year mean if you saved that with interest for 20 years – the retirement age? It is rich in detail and without question shows why Arroyo Grande is a great place to work compared to the businesses it serves. It is for that fact alone that the city council and the city’s administration must answer the question, is the city becoming too expensive spending your money for the service it renders? I can’t believe folks haven’t figured out, the time to get out of CA was yesterday. It’s(the ability to live a normal life in CA) not coming back folks. Everything from Schools to business to safety is fading fast almost everywhere in the state. SLO and AG stand zero chance of turning the tide. I don’t think it’s the trees. The key word is PENSION. Think about where you really want your tax dollars to go to before re-electing Ray, Barneich and Harmon. Sadly, the three libetard politicians who voters elected have no clue about real world economics, and they are essentially people living off the government plantation, so do not expect them to get Arroyo Grande’s fiscal house in order. In fact, they will soon be asking the taxpaying residents in A.G. to pay more via a tax hike. I say let’s recall Caren Ray, Kristin Barneich, & Barbara Harmon, so that we can preserve the quality-of-life in our once-bucolic town. We deserve better than politicians who lack fiscal discipline, and these three have failed to appropriately run our city government. You are correct. If you look into the backgrounds of most local elected officials you would discover that most do not have any experience in real business adventures or money management. During election time we hear that they are business people and most accept that. Because somebody works out of their house and tries to sell something is certainly adventurous but does not compare to working within a budget, making payroll and lastly making a profit. Consequentley most of these people just rely on the advise of their city managers and financial officers who mostly have no private sector experience where profit is king. I would suggest that the local cities establish a committee of independent business people and money managers to assist them in managing their money. They will mostly cry foul as this may affect the country club lifestyle that some have, Most of us have learned to live comfortably with what we have and cities should be able to do the same. One of the main problems that we have all heard over the years is that the money is there and we have to spend it. That mentality needs to change and we all may be ok. They should rethink the planting of Street Trees in the East Village. Cost of maintaining will eventually reach San Luis Obispo’s mistake. But then Barenich won’t be able to pocket any money funneled through In Bloom……. Notice all the sidewalks the trees have destroyed? They’re hard to miss as they’re painted yellow in an effort to alert pedestrians to the trip hazard and hopefully avoid litigation. I bet any sidewalks in front or near the homes of the “Trio” or that Barneich, Harmon and Ray have “mentioned” are either fixed or on top of the “Next To Do” list. Can’t have the “Special” people tripping.